Kalpataru Avana is a new project at Parel in Mumbai by Kalpataru Group. The project is placed at one of the fabulous upcoming areas – Parel, Mumbai. The project is worked completely by a team of specialists and has a host of facilities to let the homeowners experience a hassle-free lifestyle. It has well-aligned apartments that provide easy movement of air and energy. Each of the apartments offers optimum utilization of space. The project is located behind ITC Grand Central hotel. The residential property is conveniently located in a section that enjoys excellent connectivity to all the city amenities. It boasts of fine specifications and fittings. All in all, this project of Kalpataru Avana is a good option to live in. 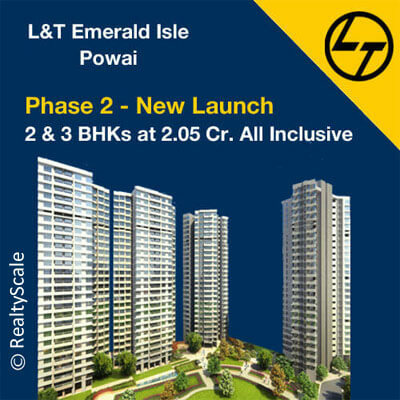 This project is close to other projects like Ashok Towers, Celestia Spaces at Sewri, Ashok Gardens, Salsette 27 at Byculla, Ruparel Ariana and L&T Crescent Bay by L&T Realty.This project of Kalpataru at Parel will be the version 2.0 of their another project at Parel which is Kalpataru Habitat. This article by Billionaire.com about some luxury developments in Mumbai says it all about Kalpataru Avana. Kalpataru Avana is located at one of the important upcoming sections, Parel. It is a well-designed apartment that has a number of alluring characteristics. The apartments provide the highest movement of air and energy that holds the atmosphere of the apartments clean and pure.Some other projects by Kalpataru Group includes Kalpataru Horizon, Kalpataru Woodsville, Kalpataru Crest, Kalpataru Sparkle, and Kalpataru Radiance. Being situated at an alluring position, one gets an excellent combination of nature’s goodness and urban conveniences. Kalpataru Avana contains excellent specifications that facilitate friendly and luxurious existence. Begin a hassle-free lifestyle along with your family at Kalpataru Avana in Parel, Mumbai. Kalpataru Avana by Kalpataru Group is created to present you the excellent amenities, established at Parel. The well-made quality of raw materials has been used to produce this wonderful construction. The best in quality fittings & fixtures give the residents an extraordinary experience. The extravagant & bright color aggregate gives the apartments excellent ambiance with a comforting & relaxing environment. The construction has been guarded by a very specific coat of paint to attain the test of times. The project Kalpataru Avana project is the excellent residential area where one can experience a new way of living with your preferred ones. The project Kalpataru Parel is situated on 2.50 acres of land, and is expected to be finished by December 2017.